How is life valued? When the planet reaches twelve billion, Mandira must decide whether the 1% with the money to escape Earth, or those whose personal values support the needs of the many over the needs of the few, deserve to be protected. When the results of her choice could trigger war on Mercury, her decision becomes even more complex. 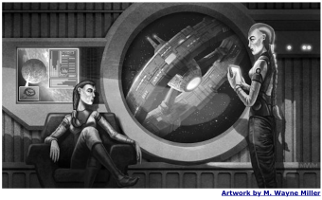 “For A Rich Man To Enter” was first published in Intergalactic Medicine Show #62, April 2018.